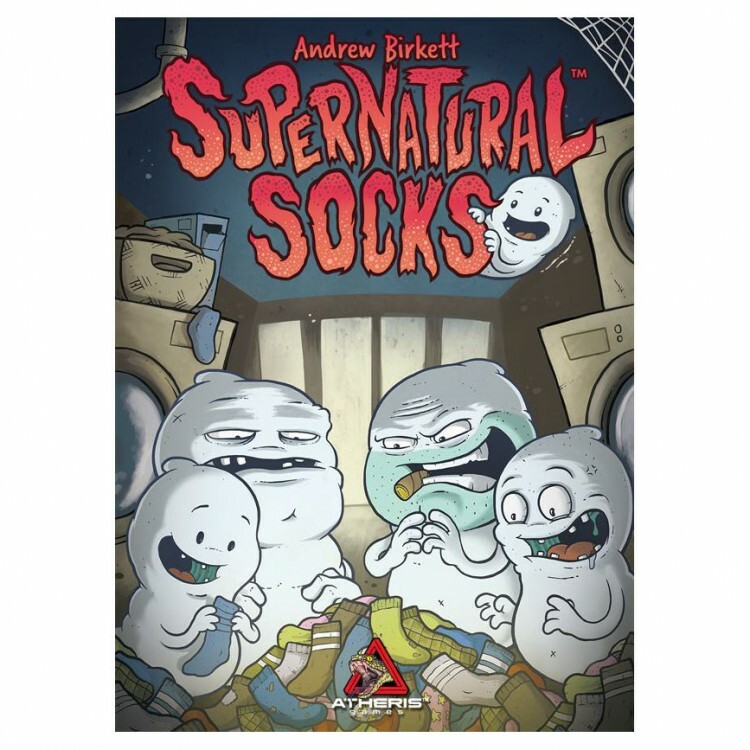 Supernatural Socks is a game about losing socks in the dryer. Players compete to score socks while utilizing sock ghosts to protect themselves or sabotage their opponents. Each player will start with seven sock cards and play any three face down in front of them. The players will then, in turn order, reveal the cards they played. Certain card effects don't apply until after all other player's cards are revealed, others apply immediately. For example dress socks are "all business" and go straight to the dryer and are immediately moved to the dryer when they are revealed. However, Tighty Whiteys are placed into an opposing player's washer and are not applied until all other players reveal. If a player did NOT play a pair they get to draw a sock ghost card that changes the game in some way.